In 2017, TUANZ celebrated 30 years of influencing change. To mark this milestone, we commissioned a brief history of the changes in the telecommunications market over that time, and the impact that TUANZ had. On this page you can read a summary of that history. Further down the page, you can also see a complete list of the leaders that have committed time and effort to leading the organisation over its 30 years. TUANZ had its genesis at a Computer Society meeting in September 1985, when it was decided that a telecommunications association ‘of some kind’ was needed. The idea behind the association was that it would provide an opportunity for people using Post Office data services to get together and learn from each other rather than it being a lobby group – something they saw no need for at the time. The first AGM was held on February 26, 1986, establishing a constitution for the association and its name, and on March 20th, 1987, TUANZ was officially incorporated. Terry Ballard was the first chairperson as TUANZ had decided to be gender neutral with its titles, and for the first year TUANZ was all about education, running seminars and holding meeting for users. Then in 1984, the Labour Government had begun a period of reforms and on the 1st April 1987, the New Zealand Post Office was split into three businesses and Telecom Corporation of New Zealand created. Telecom acquired the assets of the New Zealand Post Office and a new – commercial – business was born. TUANZ were suddenly thrust into the role of lobbyists as Telecom jostled to establish its stake in the market as deregulation loomed. In 1989, in a world first, the New Zealand telecommunications market was completely deregulated ending the monopoly and opening the doors for new competition. The first of the competitors arrived in 1990 in the form of the Alternative Telephone Company – better known to most by its later name, Clear Communications. The same year, Telecom was privatised with Ameritech, Bell Atlantic, Faye Richwhite and Freightways buying it for NZ$4.25 billion. The early 1990s was the era when the New Zealand Government was taking a hands off approach to regulation in the sector. 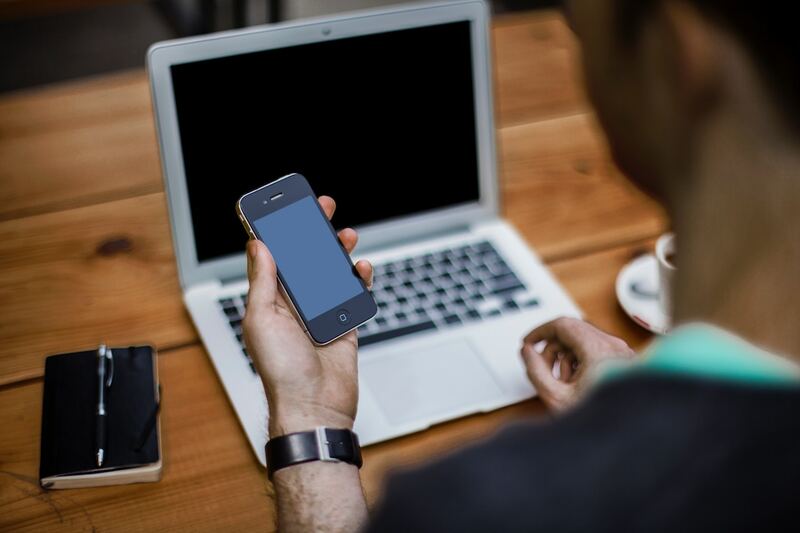 Many other countries provided statutory rights of interconnection, ensuring that new carriers are able to interconnect with the incumbent provider’s networks to enable customers of one network to make calls to those on another network. However New Zealand’s light handed regulation saw the telco sector relying on the generic Commerce Act to control any potentially monopolistic behaviour. In what was to be the first of many legal battles in the sector, in 1991 the Commerce Commission began proceedings against Telecom alleging that in raising these costs during 1988 and 1989, the company had contravened section 36 of the Commerce Act. The slow turning of the wheels of justice, however, meant that four years later the Commerce Commission withdrew the action after concluding that the time and costs involved in pursuing the case to a conclusion would be greater than any benefits achieved, and that the case by then had little relevance to the industry. In the 1992 Report on Telecommunications the Commission noted: ‘Telecom makes the rules and other parties in the industry, by and large, play by them’. In what would become an ongoing theme for the sector, the Commission’s enquiries conclusions were subsequently ruled to be beyond its remit. 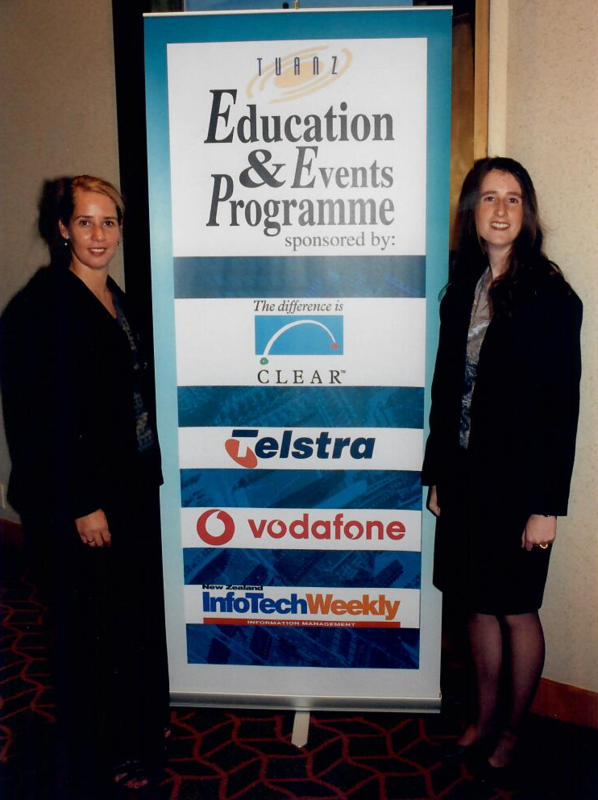 By 1992, competition was emerging in the market – in particular from Clear Communications. Clear entered the market with the intention of creating a nationwide network using fibre optic cables along New Zealand’s railway lines, courtesy of New Zealand Rail, to provide tolls and data services. Ultimately, it set its sights on the local market and a long running interconnection dispute with Telecom – which reportedly cost around $8 million in fees and went all the way to London’s Privy Council where it was ruled that there hadn’t been use of its dominant position by Telecom to stifle Clear – became a feature of the New Zealand telecommunications scene for six long years. But while Clear may have lead the early charge, others were also entering the market, including Kapiti Coast’s Kiwi Cable Company, which later became Saturn Communications and joined forces with Telstra to become TelstraSaturn. By 1993 competition was emerging on the mobile front too, with BellSouth launching. For TUANZ, increased competition, while much wanted and lobbied for, brought its own challenges. The increased competition brought with it challenges for TUANZ’ user community, who faced a growing set of choices. 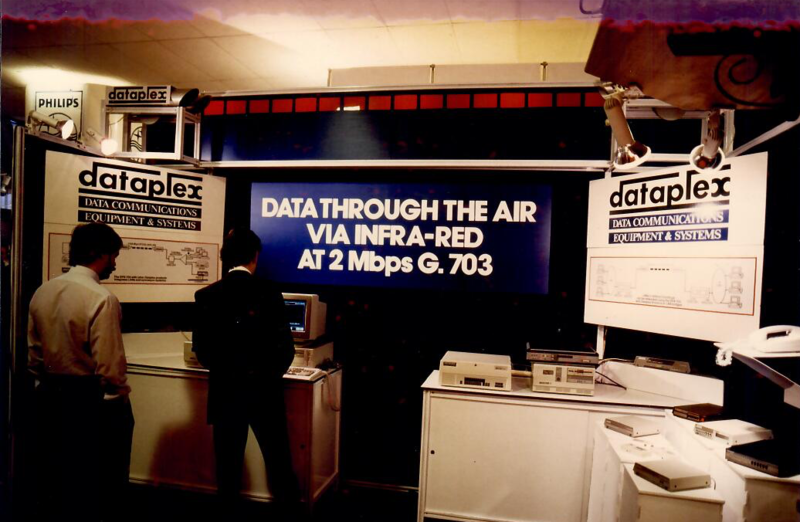 In 1996 internet demand – and pricing pressures in traditional markets where Telecom now had burgeoning competition from multiple companies such as iHug and CLEAR– saw Telecom launch its own internet service provider, Xtra. Telecom then moved its focus to ‘high speed’ internet in the form of ADSL,, branded as Jetstream, which would become a mainstay for the company’s internet access offerings. The company also became part of the Southern Cross Cable consortium, which was laying a fibre optic cable between Australia and New Zealand and the United States. By the late 1990s, TUANZ along with many other players in the industry felt it was clear that New Zealand’s pioneering hands-off deregulation of the industry wasn’t working and TUANZ wasn’t making much progress on the regulatory front. Much to Telecom’s annoyance, it would become a key focus for the industry body. It would be a period of high activity for TUANZ, with on average, one major campaign a year including number portability, the wholesale access regime – the requirement that Telecom sell its services to competitors at regulated prices – local loop unbundling, mobile colocation, mobile roaming, and mobile termination rates. A key catalyst in driving awareness of the issues within telecommunications sector to a wider audience was number portability. Something taken for granted today, it was a sore point in the late 1990s, when moving carriers meant changing phone numbers. For businesses in particular it was a huge barrier to changing telco provider and for consumers it tended to lock you into one mobile provider. Pre the 1999 election, TUANZ had lobbied the Labour party about the need for fundamental change and in its election manifesto Labour promised an inquiry into the telecommunications regulatory framework. In 2000 with Labour in power, Paul Swain commissioned the Fletcher enquiry, which ultimately lead to industry-specific regulation in the form of the Telecommunications Act 2001 and the creation of the role of Telecommunications Commissioner. For end users, the new act brought changes on the fixed line front, as providers jostled for attention with specials and new choices in plans. Then in 2005 a Government review of the sector focused on the broadband market and highlighted concerns at a lack of improvement in New Zealand’s performance in the OECD in regards to broadband penetration. The review also suggested there was a lack of effective competition in the telecommunications market which ultimately lead to amendments in 2006 to the Telecommunications Act, giving greater power to the Commerce Commission for regulating the sector including introducing unbundled local loop as a regulated service. Prior to the 2008 election, TUANZ, had been pushing for improved access networks for a number of years, arguing for fibre to the home and working strongly behind the scenes to encourage any new government to take a stand. TUANZ’ work paid off and at a Wellington Chamber of Commerce luncheon, John Key as leader of the opposition, announced plans for a UFB programme. National won the election, and the UFB project kicked off. The UFB project came with a condition for Telecom, however. In order for it to be a partner in the UFB project it was required to structurally separate into a wholesale network business and a retail/mobile business. This the company subsequently did creating two new companies in Telecom (now SPARK) and Chorus. New Zealand’s key telco sector players are incredibly buoyant about the future of the sector – and what it will provide New Zealand with. While most agree there’s still work to do – and all have differing ideas of what that work entails – most believe the industry is in the best position it’s ever been in. For TUANZ, the focus remains on driving New Zealand telecommunications forward to ensure New Zealand can make the most of the digitally connected world and encouraging New Zealand to be one of the top 10 countries for business usage according to the World Economic Forum global network readiness index by 2020. For TUANZ the resolution of many of the recent big issues (until the next ones arise) means it can return to more of an education focus as it seeks to encourage local businesses to use technology to improve New Zealand’s economic prosperity. And while TUANZ is continuing to help New Zealand make the most of a digitally connected world, it’s also working to bring fresh blood up through the industry, ensuring a vibrant future for the sector. With that in mind, TUANZ relaunched the FLINT (Future Leaders In Technology) programme for those at the beginning of their careers. The programme aims to enable future leaders to develop knowledge and be exposed to industry leaders and ideas so they too, can step up into senior roles with communication technology responsibility. 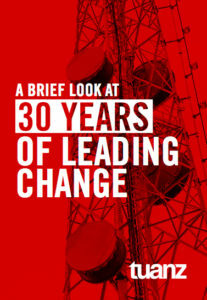 Read the ebook here: A Brief Look at 30 years of Leading Change.